NVIDIA公式のMac用Pascalドライバがリリースされた今、Mac Pro (Early 2009)をVR対応マシンにすることは出来るのか？ | AAPL Ch. 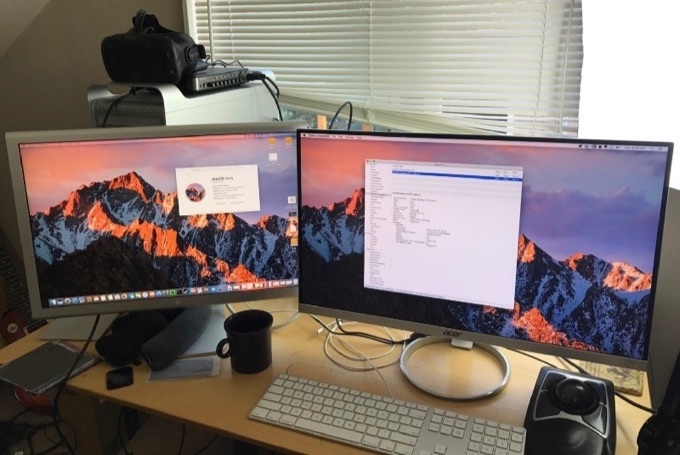 I use a 5k iMac for work and am interested in VR production and gaming. Some friends told me to build a dedicated Windows box and others suggested building a Hackintosh, but I was sure there was a better way to get what I wanted. So I turned a 2009 Mac Pro that I picked up off of eBay for $1300 into a superb professional workstation, gaming, and VR platform, simply by adding an SSD drive and a new video card. CPU upgraded to 12 cores running at 3.3 GHz.